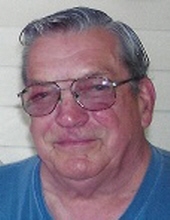 Charles Lincoln Fridley, 82, DuBois, passed away Tuesday, January 29, 2019 at Penn Highlands DuBois. Born February 21, 1936, in Rockton, he was the son of the late Charles and Grace (Singleton) Fridley. On February 21, 1959, he married Edith Duttry in Sabula. She survives. Charles attended DuBois Area Schools and worked as a laborer for McDowell Manufacturing in the quality control department. He enjoyed woodworking and spending time with family and friends. Charles was Protestant by faith. Charles is survived by two children, Charles A. (Carolyn) Fridley and Lincoln L. Fridley, all of Rockton; three grandchildren, Kyle, Shawna, and Ashley Fridley; two great-grandchildren, Mason M. Fridley and Layla Turner; two sisters, Caroline (Austin) Overturf, Rockton and Pluma Lingenfelter, DuBois, as well as several nieces and nephews. He was preceded in death by his parents, an infant son, Vernon R. Fridley, and two half-brothers, Edward F. and James Leo Bartlebaugh. Friends and family will be received Saturday, February 2, 2019 from 11 a.m. until noon at the Adamson Funeral Chapel, Inc. Following the visitation, a funeral service will be held at 12:00 p.m. at the funeral chapel with LaMarr Adamson C.L.P. officiating. Interment will be in Rockton Cemetery. Memorial donations may be made to the Disabled American Veterans at www.dav.org/donate. To send flowers or a remembrance gift to the family of Charles Lincoln Fridley, please visit our Tribute Store. "Email Address" would like to share the life celebration of Charles Lincoln Fridley. Click on the "link" to go to share a favorite memory or leave a condolence message for the family.